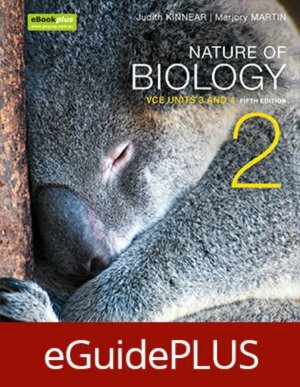 Nature of Biology Book 2 5e Units 3 and 4 with eGuidePLUS (Online Purchase) provides teachers with online support through instant access to student and teacher texts plus a complementary set of extensive, customisable assessment (including SACs) and curriculum materials to make teacher planning and preparation easier. • studyON VCE Biology Units 3 and 4 is fully integrated with the student text. studyON is Jacaranda’s unique study, revision and exam preparation tool. Unit 3: Area of Study 2: How do living systems sustain life? Chapter 11: How are species related?